Bite-size bits of wisdom as profound and deep as they are simple, short and sweet. This is the wisdom of the ages, the oldest wisdom on earth. 1. The way we weaken the power of negative people in the world is by weakening our own ego & loving others unconditionally—even our enemies. It is the influence of ego that makes us point the finger of blame at the external world and negative people. If we don’t like a politician, President, Prime Minster, King or Queen, a business leader or anyone, it means there is something in our own character that is governed by the egocentric force and we must remove it to contribute to authentic change the world. Period. When we find ourselves complaining about the world, we are in blame mode. That means we are delaying the changing of our world. This is the actual way that Kabbalah students and true Israelites activate global change. The rest of the world must battle the effects of chaos, the one percent world, through activism, paramedics, revolution and war. But even their success is also influenced by our own change. The bloodier that world transformations are, the weaker our efforts at removing our ego have been. When a revolution is relatively peaceful, like the falling down of the Berlin Wall and the collapse of the Soviet Union back in the 1990s, it means our effort at internal change was stronger. If enough people take up the Kabbalah path, the world will achieve transform into paradise through mercy and pleasantness — not war and sickness and pain. 2. 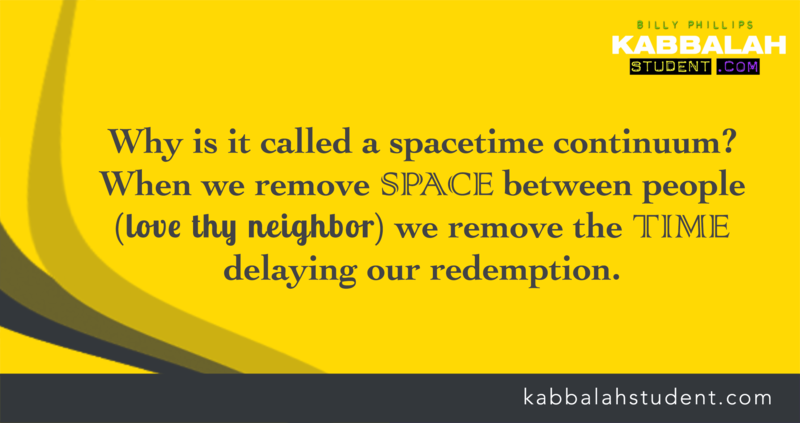 Each night, we shouldn’t feel responsible if the Messiah did not arrive today. But we must accept full responsibility if the Messiah doesn’t arrive tomorrow. 3. Another great fraud perpetuated on mankind? That death & taxes are absolutely certain. Taxes, yes. Death, no. The death of death is our true destiny. Our ego, the cause of death, is the one that makes us totally cynical about the idea that death can come to an end. Our skepticism and doubt is death’s survival mechanism. Such Light. Thankyou Billy. Funnily enough it turns out Taxes are uncertain too. According to the Strawman community we are allotted a governing ‘entity’ along with our birth certificates. Started after the Napoleonic Wars and still used today. That’s what they say anyway. I dunno but the vampire that’s been running this planet tends to favour a two-game take so I wouldn’t put it past it. Filthy planet to have to survive on. Hoping we’ll see strong signs of the clean up this Shabbat. Shalom Billy Kabbalah Student Mon.